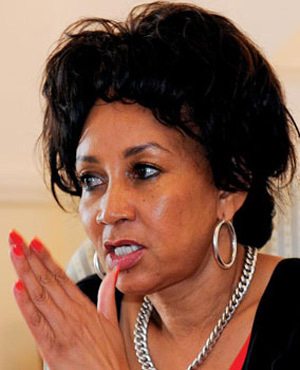 The upcoming Brics Summit will not focus on the international tariff battles with China and the US at the forefront, but the issue will have to be discussed, according to Minister of International Relations and Cooperation Lindiwe Sisulu. “The trade wars, we would like to leave to other areas and other fora to the extent that it will be possible, but of course it’s a dominant factor in international relations … so there’s no way that it can be avoided,” Sisulu told the media at a press conference in Sandton on Monday. Heads of state and their delegations from the bloc, comprising of Brazil, Russia, India, China and South Africa will meet in Sandton from 25 to 27 July for the 10th annual Brics Summit. South Africa is chairing Brics in 2018 on a rotational basis. Sisulu said “if there are any trade wars, they are outside of Brics”. She added that member states are concerned about the direction that multi-lateral arrangements are taking. In a sign that the trade disagreement between the world’s two largest economies is escalating, US President Donald Trump on Friday threatened to impose tariffs on all $500bn (R6.5tn) of imported goods from China. The Brics Business Forum will be held on Wednesday and Sisulu said that the Brics Summit hoped to focus on increasing economic cooperation between the five countries. “We have created for ourselves a business forum where we invited the business forum to engage with both [Chinese] President Xi Jinping and President [Cyril] Ramaphosa, on the possibilities of how we can enhance our business opportunities using the space that we have and I think that’s what we would like to concentrate on right now,” said Sisulu. According to a statement on China’s finance ministry’s website, China, Brazil, Russia, India and South Africa agreed to “fight against trade protectionism together" after a meeting during the Group of 20 Summit of finance ministers and central bankers in Buenos Aires, Argentina at the weekend. The five heads of state of the Brics member nations will attend the three day event; Brazil’s President Michel Temer, Russia’s President Vladimir Putin, India’s Prime Minister Narendra Modi, Xi and Ramaphosa. South Africa is keen to use its membership and second time hosting the Brics Summit (the country previously hosted the event in 2013 in Durban) to “champion the interests of our continent,” according to Deputy Minister of International Relations and Cooperation Llewellyn Launders. Heads of state from Namibia, Gabon, Angola, Senegal, Uganda, Togo and Rwanda will be attending the summit as part of the Brics Africa outreach programme with the final day of the summit, Friday, dedicated to other African countries and Brics Plus. Leaders from Argentina, Turkey and Jamaica will be attending the summit as part of Brics Plus. Sisulu was questioned several times by journalists about Russia, China and Turkey’s human rights records as well as their commitment to democracy. She said that it was not SA’s place to play “big brother” to other countries but Pretoria will showcase its democratic values. She also promised journalists covering the summit that the commitment to a free press will remain in place, regardless of other nations' restrictions on media freedom.